From the Far Coast in the west to the frontier with the Eastern Kingdoms, rumors, uncertainty, and political instability are rampant. Spies have gone missing - some were murdered; others have turned traitor. 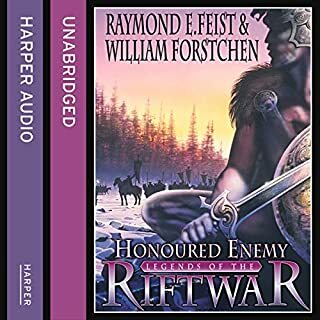 Factions are rising, powerful legions from the Keshian Confederacy have been mobilized, and an attack on the kingdoms of the Isles and Roldem is all but certain. 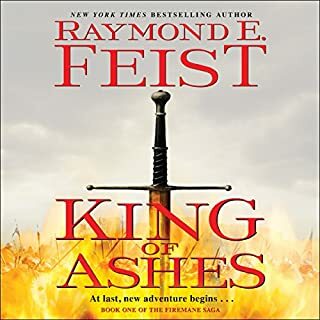 As the men of the Western Realm begin to mount a defense, Martin conDoin, the middle son of Lord Henry, Duke of Crydee, finds himself leading the charge against the invaders - like his legendary ancestor, Prince Arutha. But Arutha had an entire army at his command. Martin has just a ragtag force comprised of a few old men and young boys. As Kesh's invading hordes once again descend upon the Kingdom, no one is safe - not experienced masters of intrigue Lord James Dasher Jamison and the beguiling and deadly Lady Franciezka; not the brave warrior Knight-Adamant Sandreena and a new generation of loyal yet untested defenders; not even the great Pug himself, the most powerful magician the world of Midkemia has ever known. 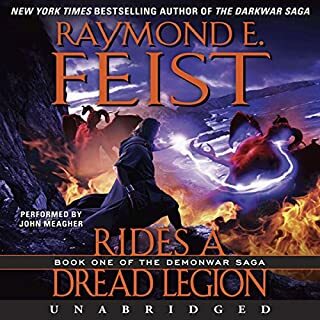 The only reason I am suffering through these books is because I really like Raymond E. Feist, I have read or listened to all of his books starting with "Magician: Apprentice" but I really feel that as a narrator, John Meagher is one of the worst I have ever listened to. In his favor, his clear and percise, but that is about as far as it goes. 1st - He reads way to fast. If he read just a little slower it would make it easier to follow the story. 2nd - (Maybe because he is rushing) There is no pause between scenes. One second we are with Sandreena, and all of a sudden we are with Pug, leaving us to wonder how in the heck did we get there?????? 3rd - His is really bad at doing charactor voices (that is WHEN he attempts them) When he does, the listener can tell right away that they are forced, making it even harder to listen to. 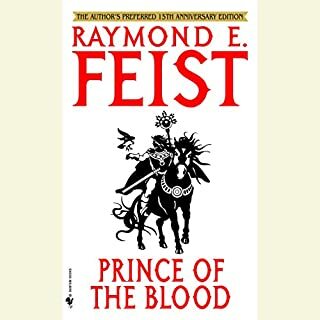 The narrator that I would have reccomended to have read these books would have been Gerard Doyle. He is the one who narrated the "Inheritance" series by Christopher Paolini. He is probably one of the best I have listen to. I was unable to finish this recording. Would you recommend A Kingdom Besieged to your friends? Why or why not? No. The narrator's voice and style were not enjoyable. After only a couple of hours of listening I gave up and could not finish the story. The tone of the narrator's voice was not enjoyable. I didn't make it far enough through the book to know. I'm half way through this book and I must say the narrator was a poor choice. He's not too bad when performing some of the characters voices, but he's insufferable any other time. What didn’t you like about John Meagher’s performance? It's a good story and I like where it's going but they guy reading it didn't do a very good job. He read too fast and would switch from one set of characters and setting to a completely different set in the same breath without pause. This made it difficult to follow the book in several places. Terrible narrator. Couldn't finish the story. 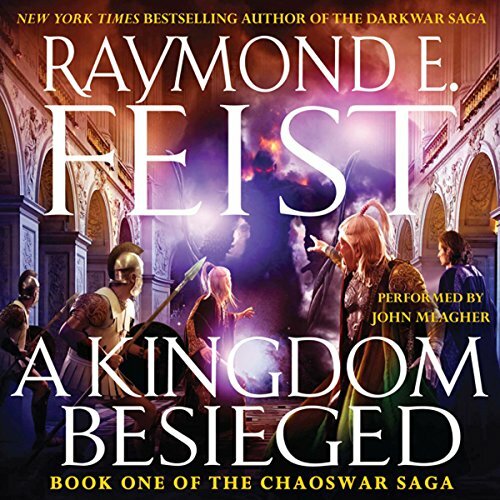 I love Raymond Feist's books and was really looking forward to hearing this recorded version. Unfortunately, the narrator spoiled the story. Other reviewers have accurately detailed the narrators shortfalls. Suffice to say this is a recorded version to skip. The narrator spoke to quickly. There was minimal difference in his voice between characters male or female, and as another reviewer commented, when there was a difference it was forced making it even worse. I have nothing positive to say about this narrator's performance. It ruined the story for me and for a number of other reviewers. A casting director somewhere made a terrible choice. The most important thing I can say about this book is that you need to like stories with a many-branching focus that follows many different characters and locations. 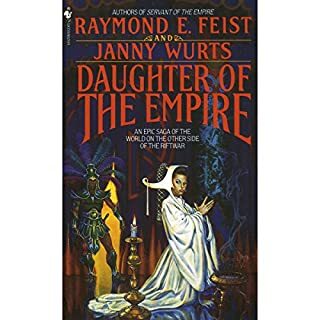 This book follows maybe 5 different stories all in the same universe but, as far as this book went, largely unrelated. There is a war that traverses most of these storylines but that's about as much connection as you'll get in the first book. I'm sure in later books it will all come together. The style is very classic fantasy. There are multiple worlds connected by portals with humans, demons, elves, and all the other cliche races. There is a lot of magic involved but no stated magic system as of yet so don't expect an explanation of how any of it works. In that sense it really is magic but this also means it has no real depth for the listener because you have no idea what is or isn't possible or why anyone chooses to use magic as they do. The main reason that my experience with this book was poor is that it jumped around so much that I never felt involved with any of the characters and what time was spent on each of them was mostly idle chatter. Basically, I never got drawn in and often found that I had stopped listening for minutes at a time and had to rewind, though there was little gain for doing so. I'm not by any means going to say this proves it's a bad book. 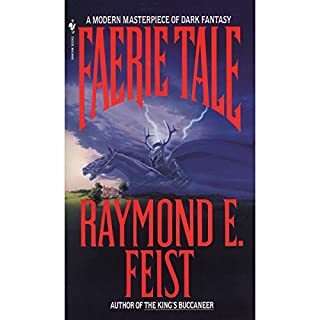 I admit that I prefer stories that have just one or two main foci and that is simply a preference but I do feel this book did little to invest the listener in any of the characters. It probably gets more gripping in the later books but I'll be stopping here. I cannot believe how poorly this person "narrates"
Without even going into how he pronounces some of the proper nouns, this guy has no grasp of the norms of speech. There is too much to list but honestly, I have hung on for some annoying narrators but after a few chapters I had to quit listening. Too many characters/countries/concepts introduced too quickly and with too little explanation. Hard to really care about any one character. I would pass on this one. The book has more than a few story lines and they never cross paths and thus you don't really know where the book is going. I finished the book unfulfilled. The natation was poor. The narrator didn't really have different voices for the different characters in the book. I also found myself drifting off because of the narrator and the story. I think preteens might enjoy this series more. I certainly won't be purchasing the rest of the series.